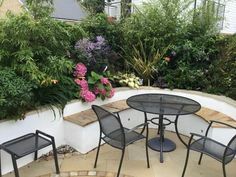 If you have a small or medium size garden, you may want to look at ways in which you can maximise the space and enjoyment of your outdoor area without making things feel too crowded. 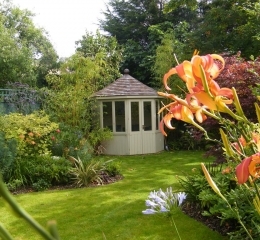 You may think a medium garden doesn’t leave much room for improvisation, but this couldn’t be further from the truth; with Floral & Hardy garden design ideas, photos and drawings, you can quickly see how spaces that may lack in square footage can stun with design and functionality. 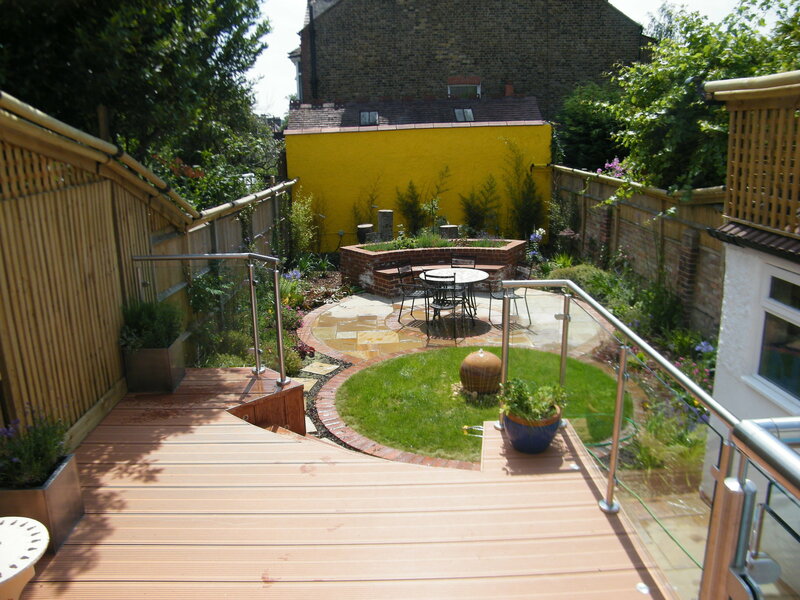 If your home has a medium-sized garden, you may be a little stuck for ideas on how to best use the space. The average garden size has shrunk over the years, and many homeowners are lacking in inspiration when it comes to their outdoor space. 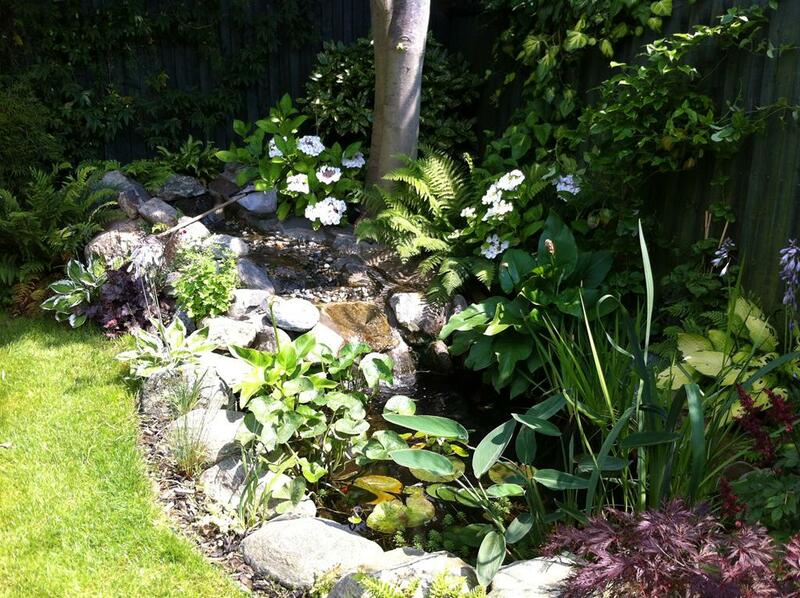 Luckily, our experts at Floral & Hardy can help, and we have lots of experience when it comes to medium garden design. 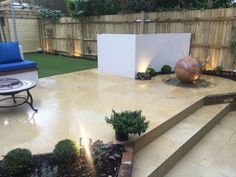 We can take an average sized suburban or city garden and turn it into a calm oasis, or space for play and entertaining, making the most of the space you have. 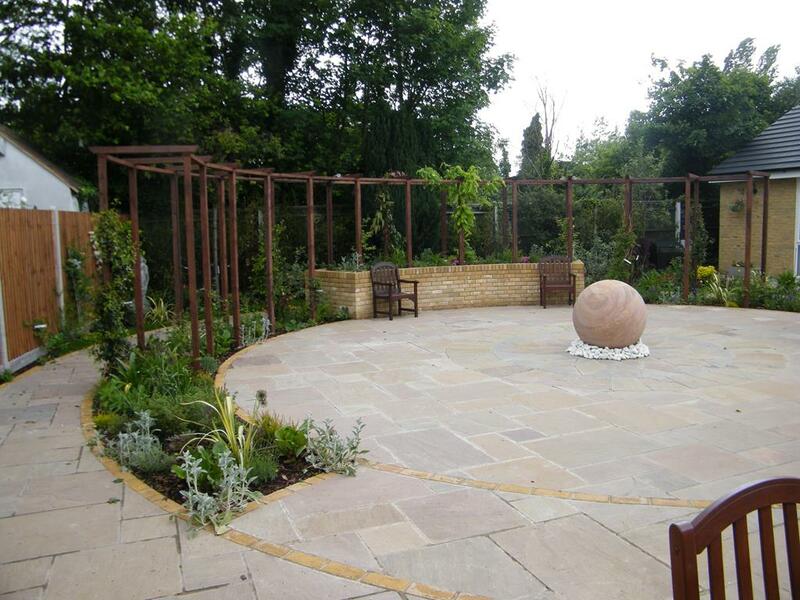 We have created numerous medium garden designs and layouts and can use this experience alongside some creativity and input from yourself to make sure you end up in a garden you truly love. 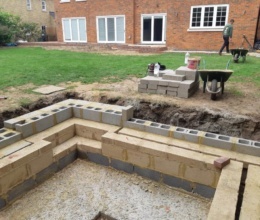 Firstly, when designing a medium-sized garden, we will arrive at the property to see the existing structure. 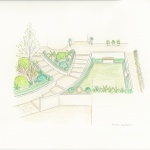 When creating medium garden plans, it can often be that less is more and that the best way to achieve maximum impact from average-sized spaces is to pay attention to detail and cohesion of all areas rather than inputting large, attention-grabbing features. 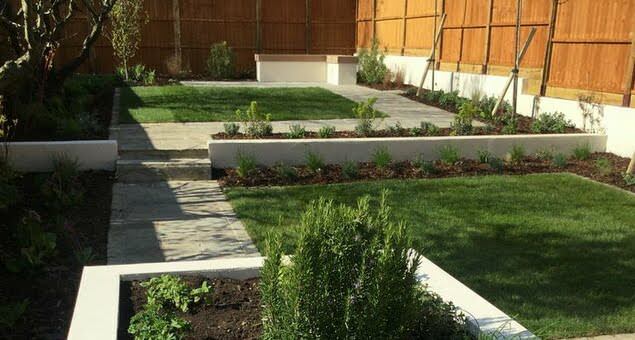 If you’ve moved into a property with an average sized garden, then you’ll probably have the same sort of design as many of your neighbours. 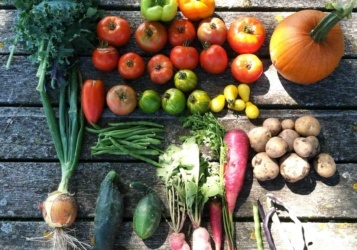 Many gardens simply consist of a lawn, a few flowerbeds, and a shed. However, there’s so much that could be achieved in a relatively small space. 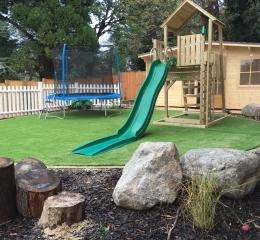 We believe in making gardens both aesthetically pleasing and functional, so whether you like to entertain, enjoy relaxing among wildlife and nature or simply need a manicured space to let sports-mad children run riot, we can help. 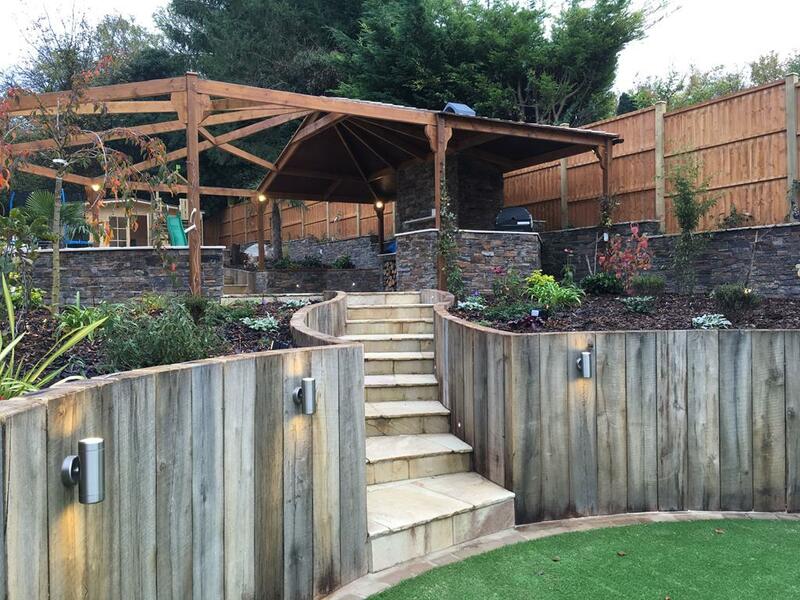 If there’s a certain garden feature you want, but you’re worrying you won’t have the space for it, then let us know. We can often re-design the space to fit in the things you want, and change the layout to suit your needs. 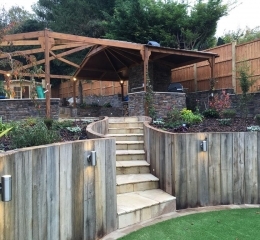 You may have your eye on a sunken trampoline or climbing frame for the kids, or you might be trying to fit in an area for dining and entertaining. 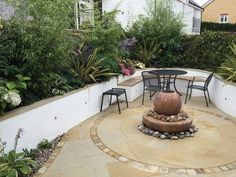 In the initial design phase, we can think of ways to add these elements to the garden, without making it feel overcrowded. 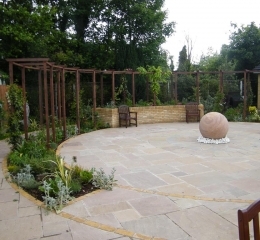 Clients are often surprised about how much can be done with the average garden, and our portfolio is full of garden designs pictures of medium sized gardens that we’ve created. 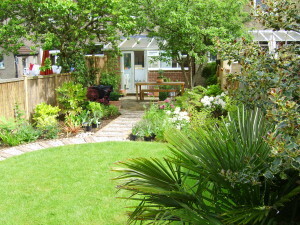 It’s important that the garden that we design looks great in the long term. That’s why we spend time with clients discussing how they want to use their garden, and how much maintenance they’ll be able to do. 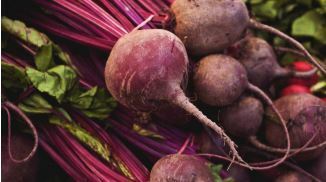 Some homeowners are busy and don’t want to be constantly pruning and weeding, while some people love to be outdoors, and find it rewarding to maintain flowers and shrubs. 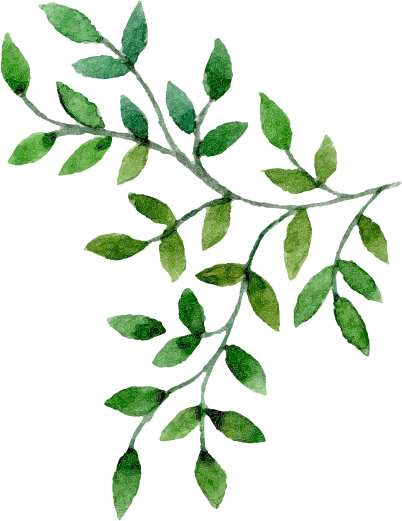 Most people with medium sized gardens won’t have a regular gardener to maintain them, which is why we come up with solutions that suit their gardening ability. Not sure how to envision the finished product? 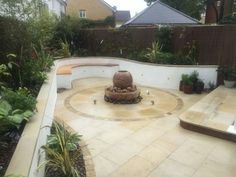 Browse through our medium garden gallery to see examples of work we have completed for clients before. 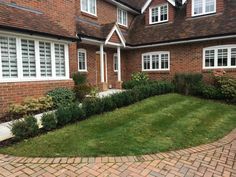 At Floral & Hardy, we are experts in creating medium back gardens, whether you want a sleek, contemporary look, or want the feel of a country garden. 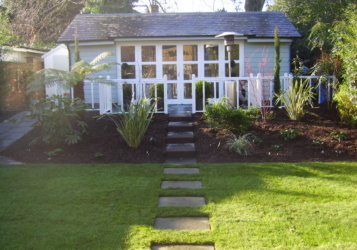 We take into consideration the style and age of your home, and then use our creativity and in-depth knowledge of landscape gardening to provide you with the perfect design. 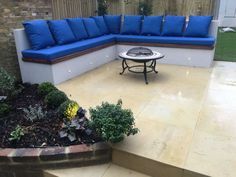 If you want to make the most of a medium sized garden, then give Floral & Hardy a call on 0844 884 2425 and we can discuss ways to make your garden a more interesting place to be. 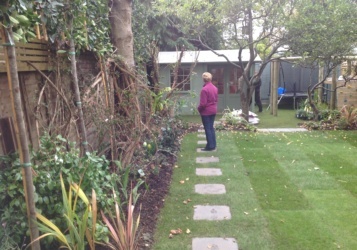 When designing a medium-sized garden, we like to see the existing structure, speak to our clients, then come up with a plan for the best use of the space. 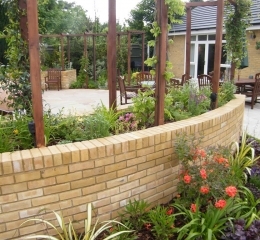 Clients are often surprised about how much can be done with the average garden, and our portfolio is full of examples of medium sized gardens that we’ve designed. 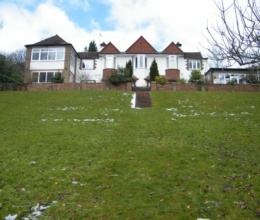 If you’ve moved into a property with an average sized garden, then you’ll probably have the same sort of design as many of your neighbours. 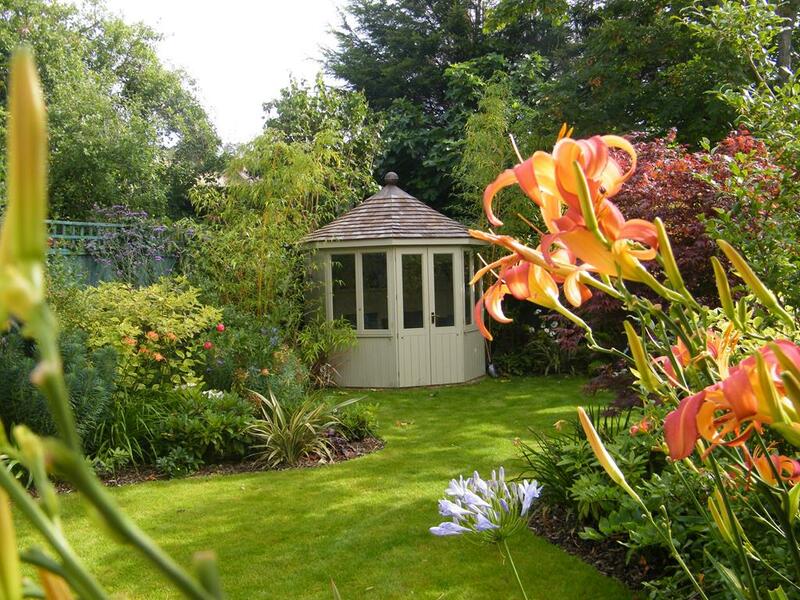 Many gardens simply consist of a lawn, a few flowerbeds, and a shed. However, there’s so much that could be achieved in a relatively small space. 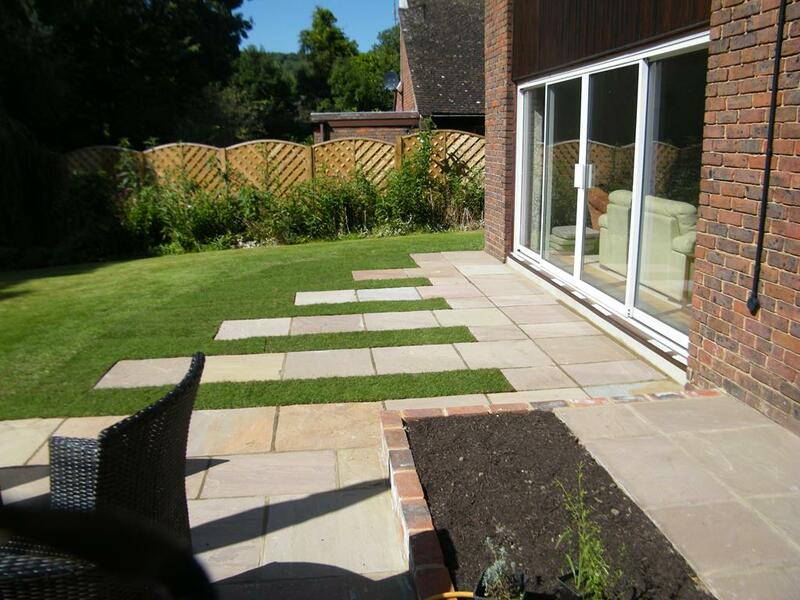 Floral & Hardy are experts at medium garden design, whether you want a sleek, contemporary look, or want the feel of a country garden. 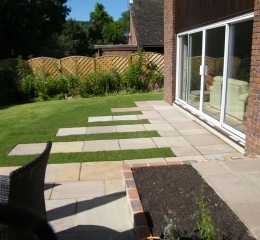 We take into consideration the style and age of your home, and then use our creativity and in-depth knowledge of landscape gardening to provide you with the perfect design. 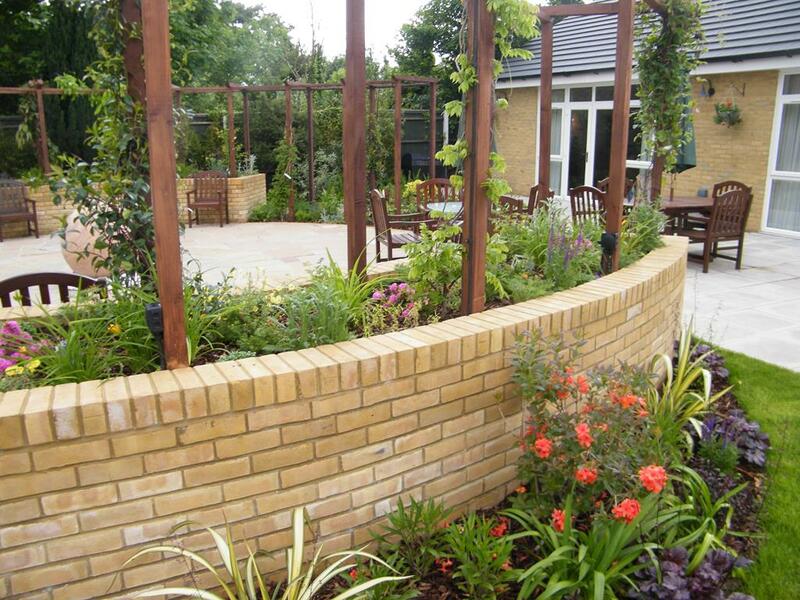 If there’s a certain garden feature you want, but you’re worrying you won’t have the space for it, then let us know. 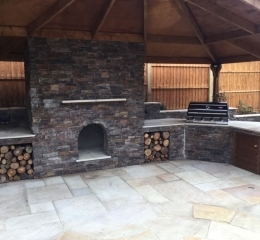 We can often re-design the space to fit in the things you want, and change the layout to suit your needs. 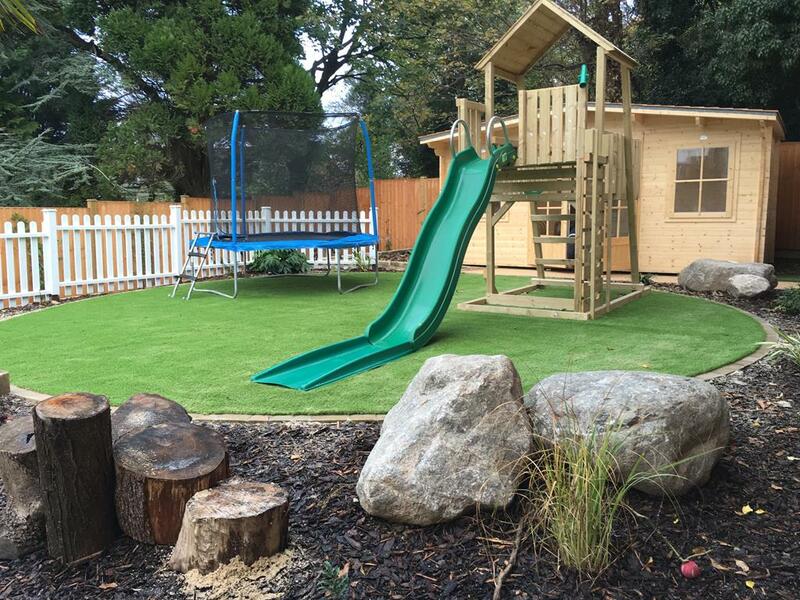 You may have your eye on a sunken trampoline or climbing frame for the kids, or you might be trying to fit in an area for dining and entertaining. 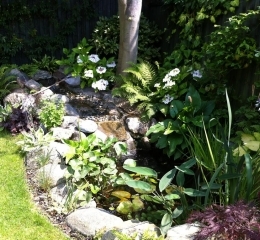 In the initial design phase, we can think of ways to add these elements to the garden, without making it feel overcrowded. 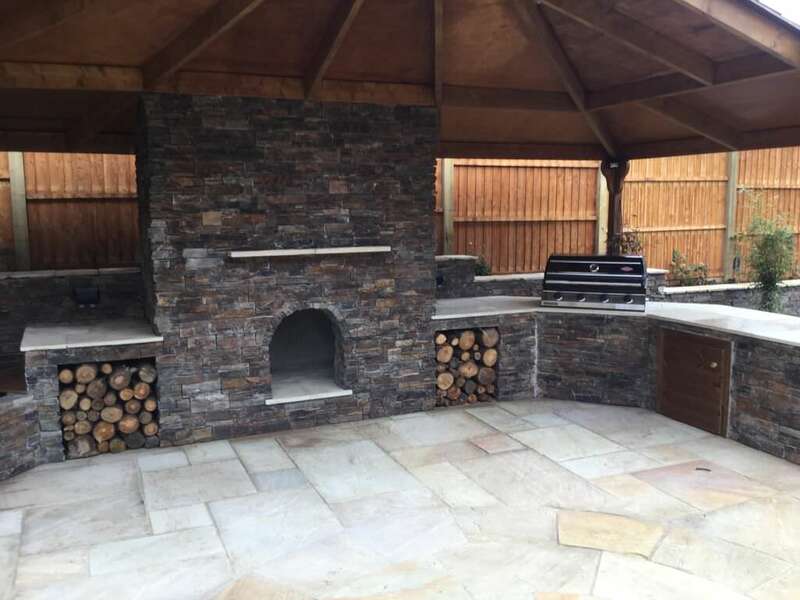 If you want to make the most of a medium sized garden, then give Floral & Hardy a call on 0844 884 2425, and we can discuss ways to make your garden a more interesting place to be.